Slept in today and awoke to thunder and pouring rain. Loved it, loved it, loved it. 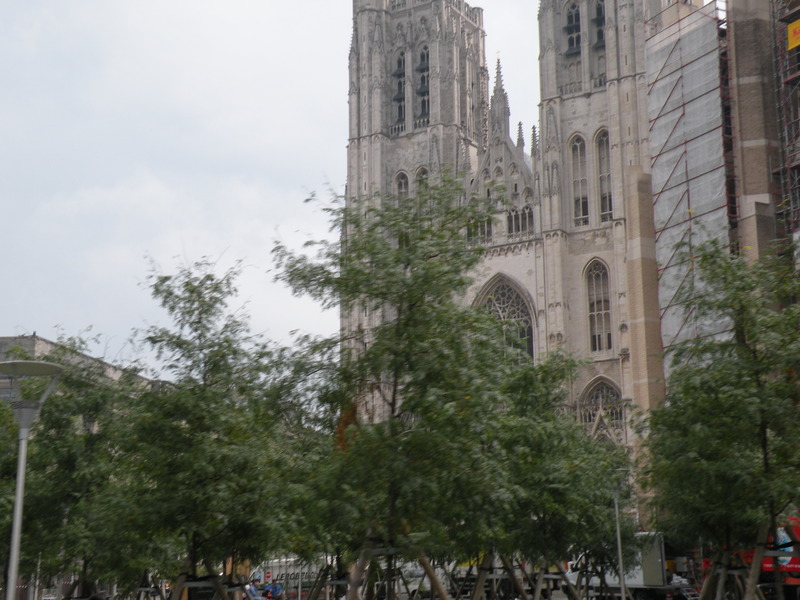 Took my time getting out of Brugge and headed for Bruxelles (Brussels). It should have only been an hour long drive but it took me almost three. I drove around in this big city for a bit trying to decide if it was worth parking and exploring. 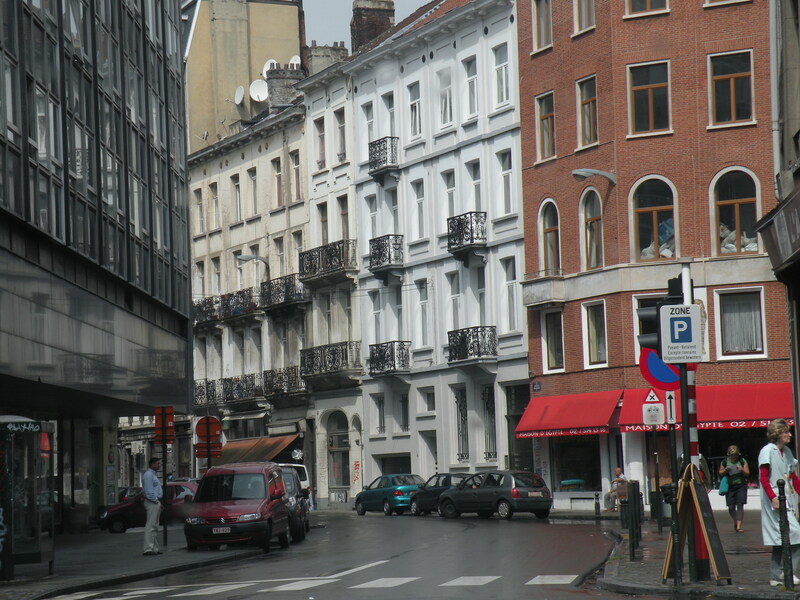 Brussels was the original capital of the union formed by Belgium, The Netherlands and Luxembourg (BeNeLux) and that led to the formation of the European Union of which Brussels is also the capital. So, it’s big, and it was rainy and the traffic was heavy. The place didn’t seem very attractive, not sure if that was just because of the rain and dark skies or not. 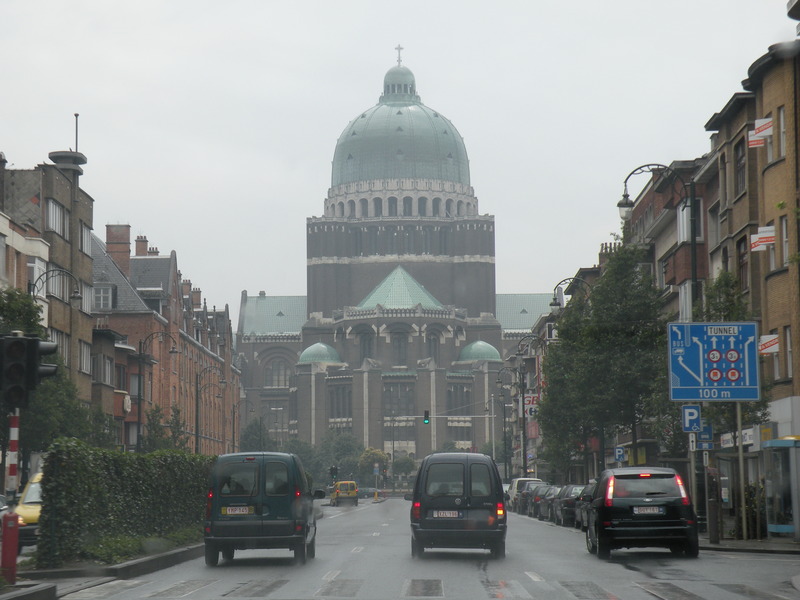 I found out later that most Brusseliers think their city is ugly though and they’re OK with that. I don’t know, I’d like to check it out again someday. So, I moved on. Well, I decided to move on anyway. Another of those cities I couldn’t figure out how to get out of. I hate that. It took over an hour, then it took another hour to get to the road I wanted to head east. It’s all part of the adventure I reckon. 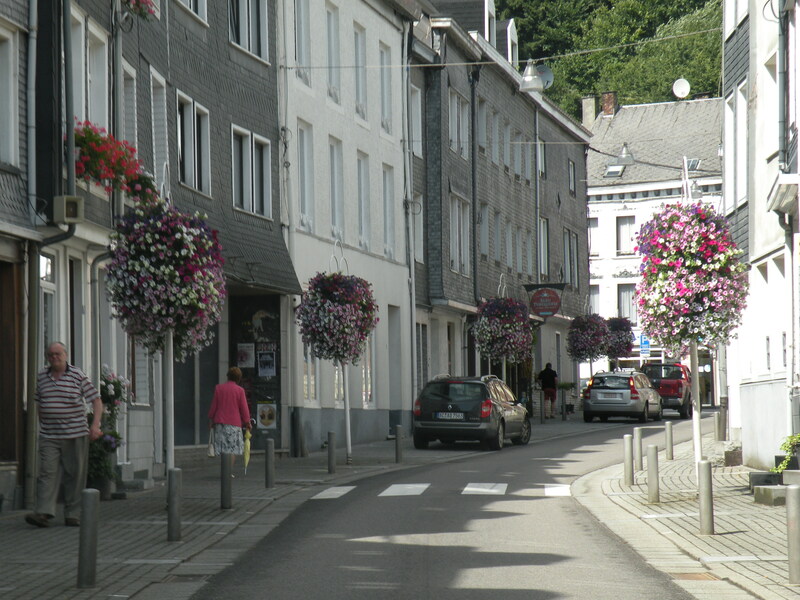 I headed east to Malmedy. Once I was past Brussels, the weather took a turn for the better. Blue skies, big white puffy clouds and the terrain started looking a little more appealing. 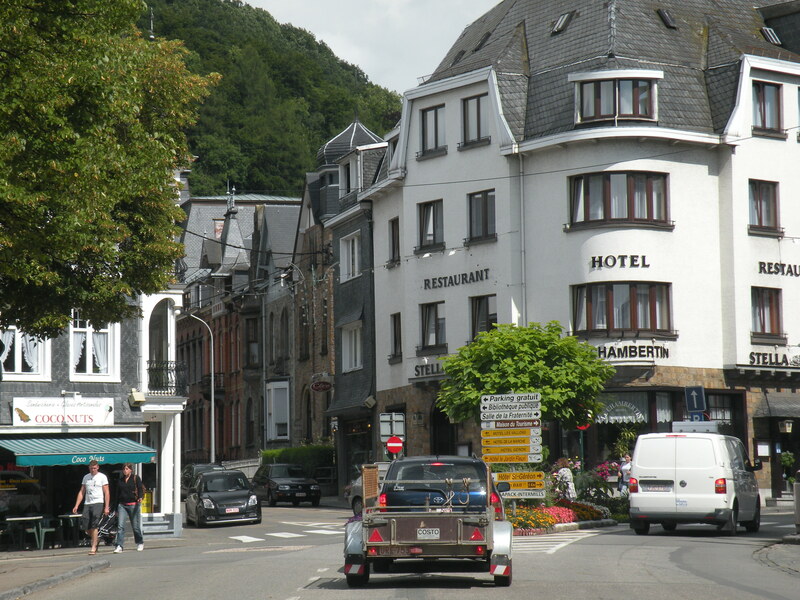 I chose to stay in Malmedy simply because of location; it was a good halfway point on my way to the Rhineland of Germany. Well, I was pleasantly surprised, again. Gorgeous little town. 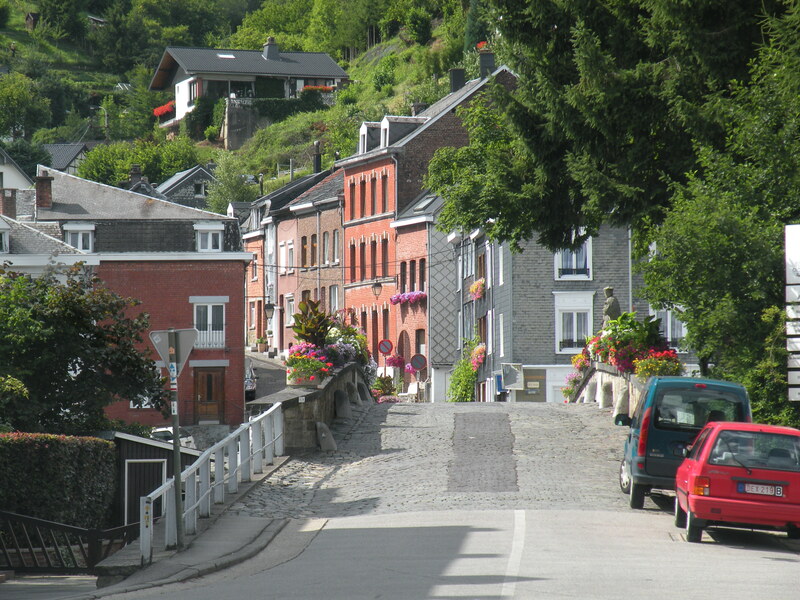 I found the Malmedy – Hautes Fagnes hostel and checked in, did a little reading, had supper and sat down to write. Just before dinner, the sky turned black and the rains came with thunder and lighting and heavy wind which lasted a half hour and then it cleared up again. 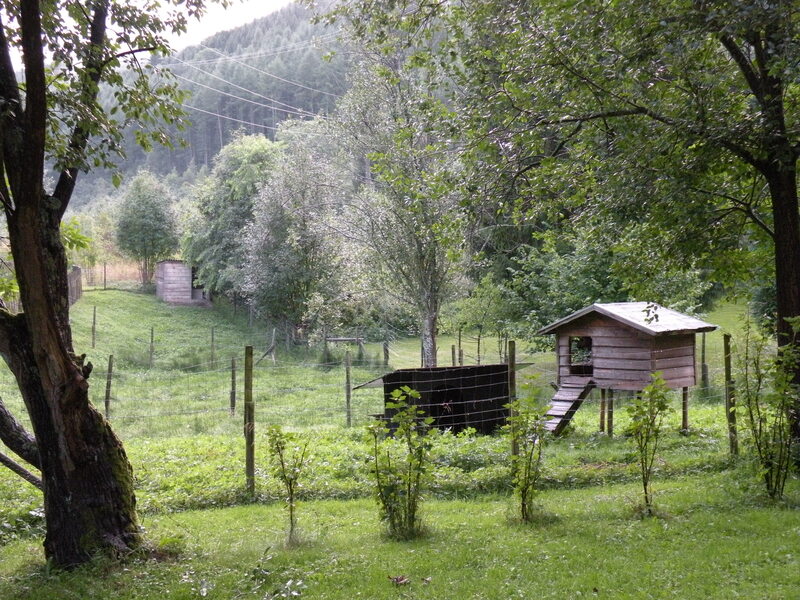 I was just looking out my window toward the hills and just outside the window is a dog house, which is up high on four stilts. It has a ramp for the dog to get up in there and two of the sides have windows. I thought that was kind of odd. Pretty nice digs for a dog. I was enjoying that cool air and fresh smell that you only get just after a heavy rain when the trees are still dripping and the drops still make a little noise as they fall from one leaf to another, and congratulating myself that I’m actually noticing things like this. Then something inside the doghouse stirred. It had horns. Well, that’s no dog. It was a goat. The things I find interesting these days. Cool, ain’t it? 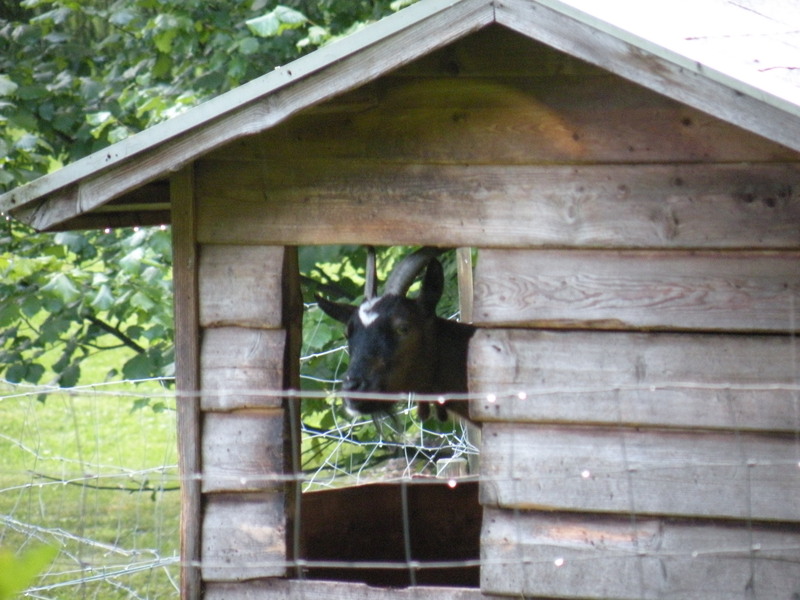 Pretty nice digs for a goat though. I thought I was all through with French for a few weeks, but in the eastern half of Belgium, the primary language is French. I had dinner here at the hostel with Christian, another single traveler who is from Brussels. He speaks a little English and between that and my limited French, we did OK. I asked him why French is spoken here, especially since we’re so close to Germany. He said that in about 300AD when Rome ruled, apparently their empire stopped at Brugge. And he said something about the Vikings pushing the Romans back to some point and I kind of lost it there, nodding and saying Ah a lot. I still don’t know why French is spoken here and not Flemish. I did catch something about how today, many Belgians want to split the country up in to two countries. Oh, can’t we all just get along? Hey…. when you get to Amsterdam let me know if you like the pot or the hashish better. Now that you’re pounding down the brews (I think you’re up to two now ) the next step is marijuana. Also, did anyone in France say “ou la la”? Barb and I are enjoying your journal and are happy you are having a most excellent adventure. As a side note when you are in Amsterdam you may want to investigate the prostitution “red light” area….from a journalistic point of view of coase..